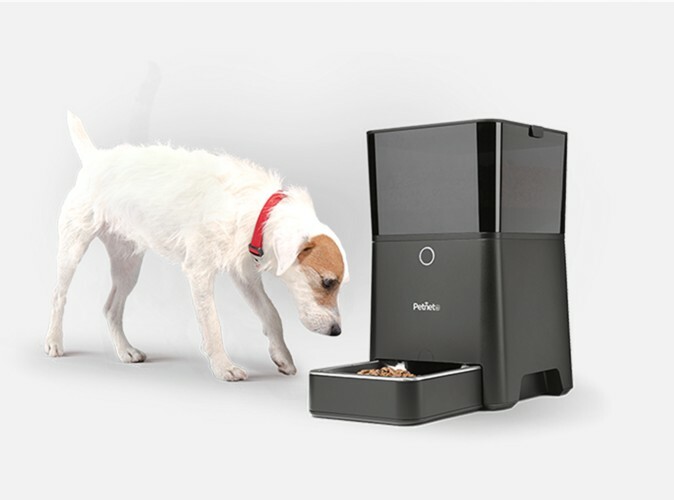 Petnet, Inc., the creators of the SmartFeeder for pets, has raised $4 million in a round of funding participated by Black River Ventures, Aspiration Growth, iRobot and Amazon Alexa Fund.The round of funding will be used to help drive and expand Petnet’s digital supply chain ecosystem, as well as commercialize its SmartFeeder technology.If you’re not familiar with Petnet, the company specializes in making it easy for pet owners to find the right pet food as well as giving the right portion.SmartFeeder is the company’s first product and it is able to learn about your pet’s age, weight and activity level and autonomously creates a profile of your pet’s caloric nutritional needs. You can use your iPhone, iPad or iPod Touch to control your pet’s feeding or schedule when pets should be fed. Feeding portions are always consistent and you can even find the perfect food for your adorable little pal.The SmartFeeder comes with a built-in rechargeable battery with a chew-resistant USB Cable and U.S. A/C Adapter. It is compatible with devices running iOS 8 or later, communicating via the wireless protocol 802.11 b/g/n @2.4GHz. The SmartFeeder is priced at $149 and comes with the bowl, feeder, food hopper, lid and band, stainless steel bowl insert, Micro USB cable (8ft) and User’s Guide.Amazon has recently expanded its Dash Replenishing Service (DRS) which allows supported products to be able to order in supplies and have them at your doorstep even before it runs out, and SmartFeeder is included in the list.“It often takes nine to twelve months to get pet food from the food factory to your pet’s bowl,” said Carlos Herrera, CEO of Petnet. “It’s a very manual and inefficient supply chain that requires an unimaginable amount of labor and resources. It doesn’t need to be that way.“We’ve taken 3-4 months off the pet food supply chain by digitizing your pet’s needs and adding automation into the process. That’s a huge efficiency gain that benefits the health of pets, pet food companies, and Petnet,” Herrera added.